Solar Impulse is one of the biggest environmental projects going on today. Two pioneers flying a solar aeroplane around the world without using any fossil fuel. A project that inspires people around the world and that carries an important message: Yes, we can live in a clean world powered only by renewable resources. Yes, we can live in a better world. Our team, Motivate -Yourself, started working with Bertrand Piccard, the Chairman and one of the two pilots of Solar Impulse, in the beginning of January 2016. We started coaching him combining a different kind of techniques in order to maximise performance, improve resilience, endurance and overall well-being. During our training, we spend one week in Hawaii helping Bertrand Piccard to get ready for the long trip of Solar Impulse over the Pacific Ocean. During our stay in Hawaii, we had everyday sessions for a couple of hours per day using also HeartMath’s biofeedback device Em Wave Pro. 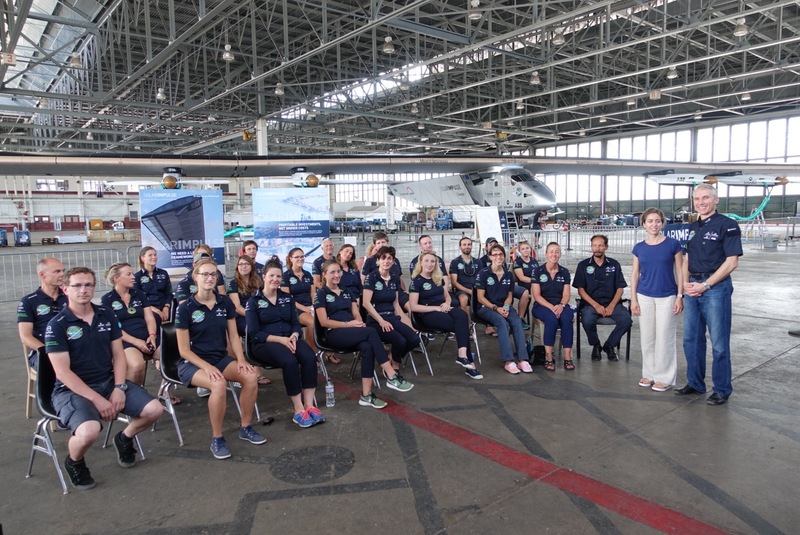 We initiated the #mobile team of SolarImpulse in Hawaii and we also shared our techniques with Andre and Yasemin Borschberg. During the Pacific crossing of Solar Impulse, we were in Monaco Control Centre where we introduced our techniques to the group and also had a session with Bertrand while he was piloting Solar Impulse over the Pacific. The 15 mins session we did when he was in the air was unique; it has never been recorded in the flight history such a session! Some of the techniques we are using during our training sessions are HeartMath®, Heart Imagery, Mindfulness, Meditation and visualisations. We have found these techniques to be working with all of our clients, either in corporate training or during our coaching sessions. Bertrand mentioned how important was for him to gain perfect mental and emotional stability; I am convinced that our techniques played an important role in his calmness and stability during the 62 hours flight over the Pacific with almost no sleep. It is our belief and moto that each person needs to find their inner guidance in order to be able to motivate themselves and improve their overall well-being and performance. Our aim is to help each individual and each organisation to achieve it. PreviousDo we know who we are?